The battery must be safely disconnected with no chance of the terminals from the car making contact with the battery terminals. If the starter tries to start, it will make for a extremely bad consequences. I know you read disconnect the battery on all installations but you must, without hesitation, disconnect the battery when messing around with the starter. 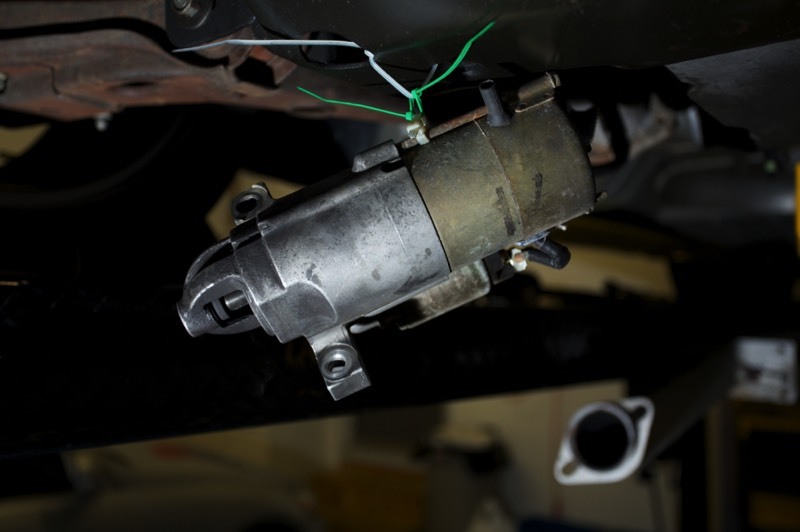 Prepare ahead of time to have a bungee chord, zip ties, or something that can safely suspend the starter after it is removed without putting stress on the starter leads (big wires). 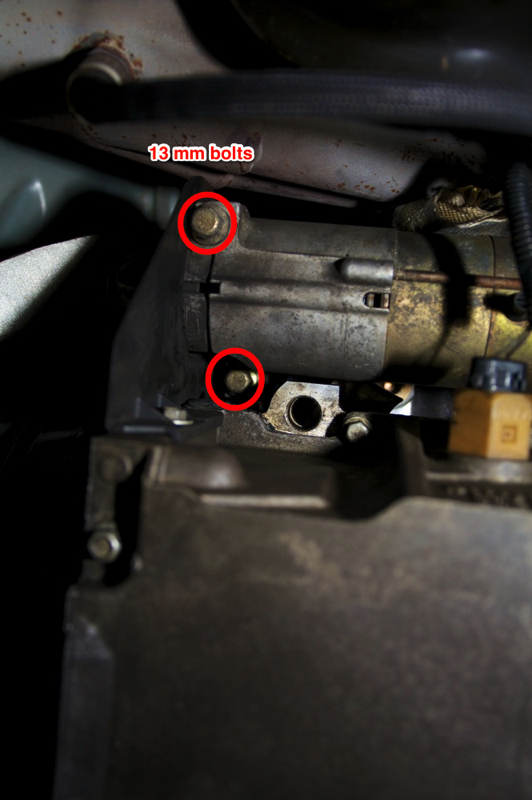 Remove the two 13mm bolts. 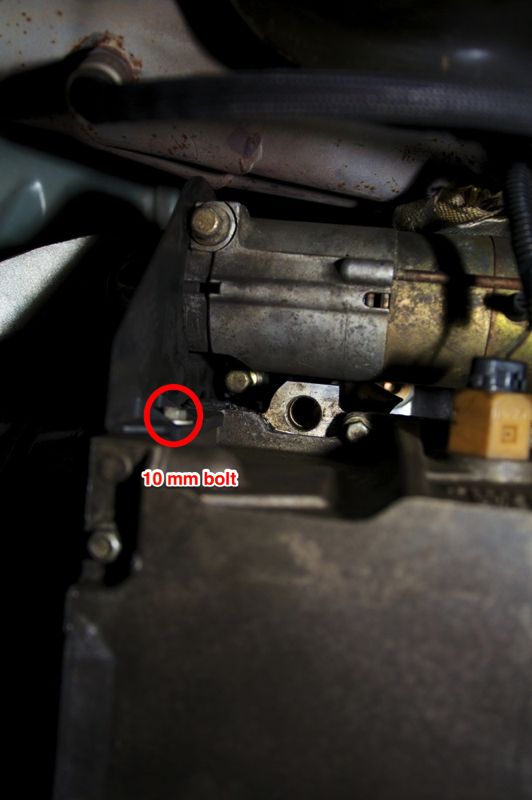 Once these bolts are removed, the starter will fall straight down so be very careful. Suspend the starter safely so the big wires connected to it do not have any stress from the hanging weight of the starter.